Do your kids give you a hard time when you have to administer a little first-aid at home? The Lil Divas do not like having cuts or scrapes cleaned and they certainly are not compliant when it comes time to put on any ointment, etc. The Band-Aid Magic Vision app featuring the Muppets is a really cute way to distract kids from the fears of first-aid. It's really simple to download the FREE app and so easy to use. First, you choose one of 3 characters - Kermit, Miss Piggy or Ganzo. Then, scan a Muppet Band-Aid box or bandage to start the fun. Your character appears to pop right off your band-aid! 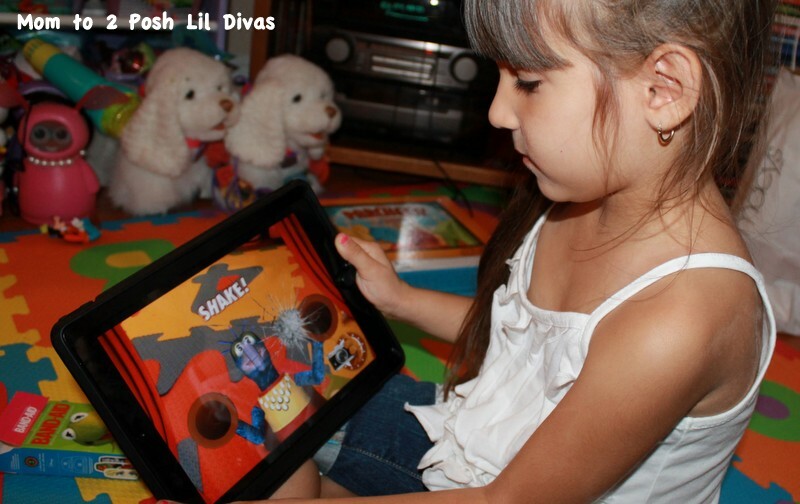 Each character has their own little activity that kids can play along with. They are all interactive, funny and kid friendly. 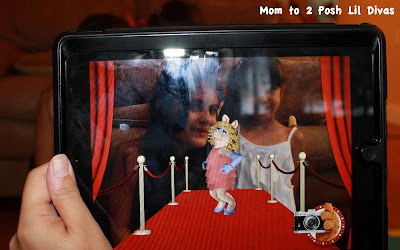 The Lil Divas enjoyed taking pics of the characters and thanks to the app's use of augmented reality technology we were even able to take a few pics of them with the characters which they found hilarious. 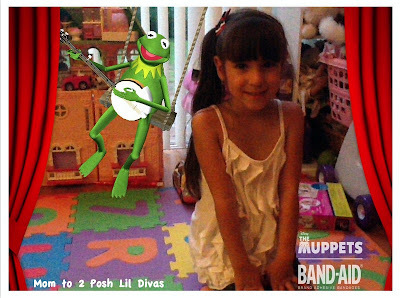 These are pics we took using the app itself on our iPad. The Lil Divas enjoyed taking lots of photos of the characters and each other as they played with the app. 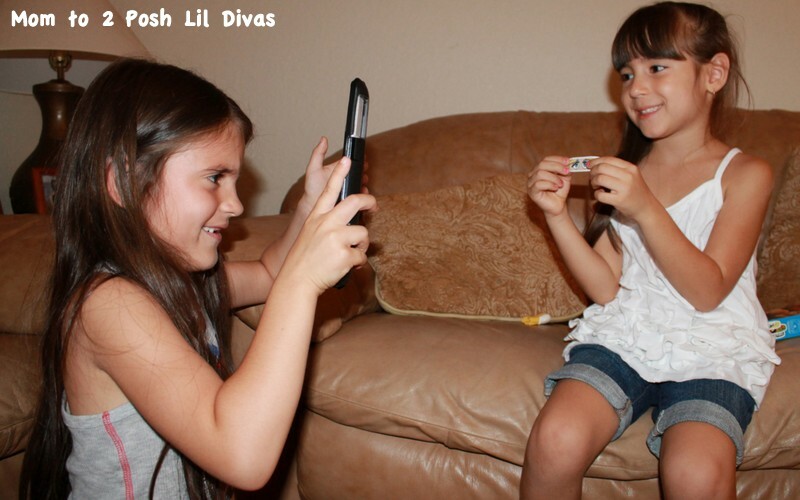 They had fun looking through all of the saved photos in the photo album. 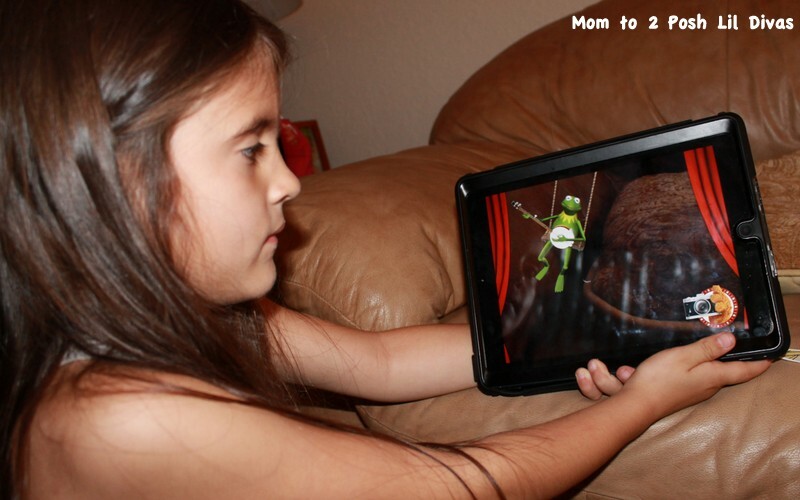 Miss Piggy is her usual hilarious self - posing for the cameras and acting bossy. She was the Lil Divas favorite character (mine was Gonzo - he is just so funny!). Gonzo sticks onto the screen and we must shake him right off the page (SPLAT!) The Lil Divas enjoyed shake, shake, shaking him until he finally popped off (see our clip below for a first hand peek of Gonzo in action). 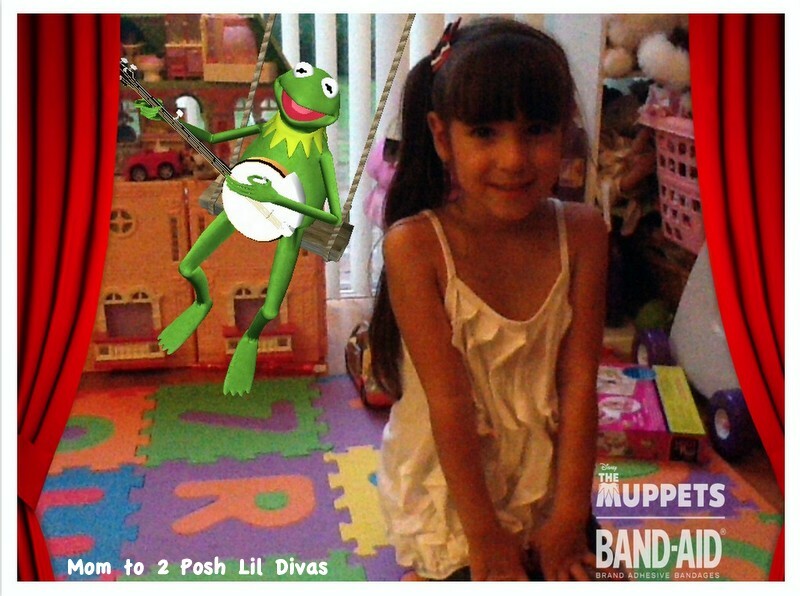 The Littlest Diva had a bit of a soft spot for swinging & singing Kermit. She was singing along with him by the 2nd or 3rd time she chose him. Interested in downloading this fun & FREE app for your kids? 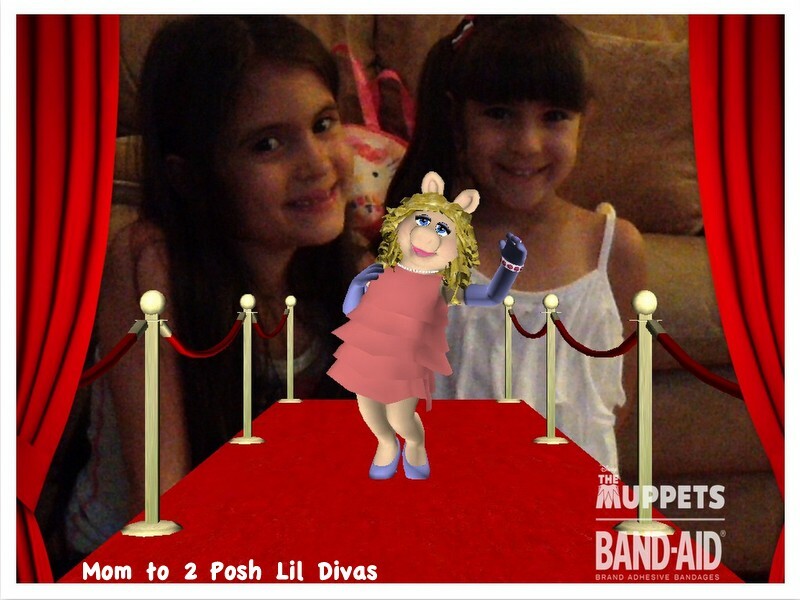 The Band-Aid Magic Vision app featuring the Muppets is available for iPhone 4, 4S, iPad 2 or the new iPad. 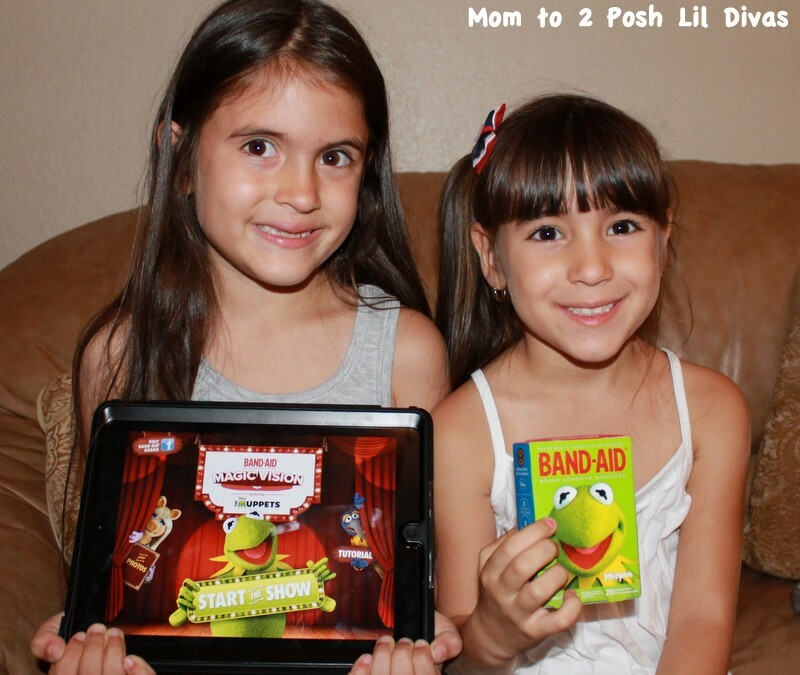 To download simply search in the Apple App Store for Band-Aid Magic Vision. Disclosure: I wrote this review while participating in a campaign by Mom Central Consulting on behalf of Band-Aid Brand Adhesive Bandages and received a promotional item to thank me for my participation. Very sweet - gorgeous girls you have! 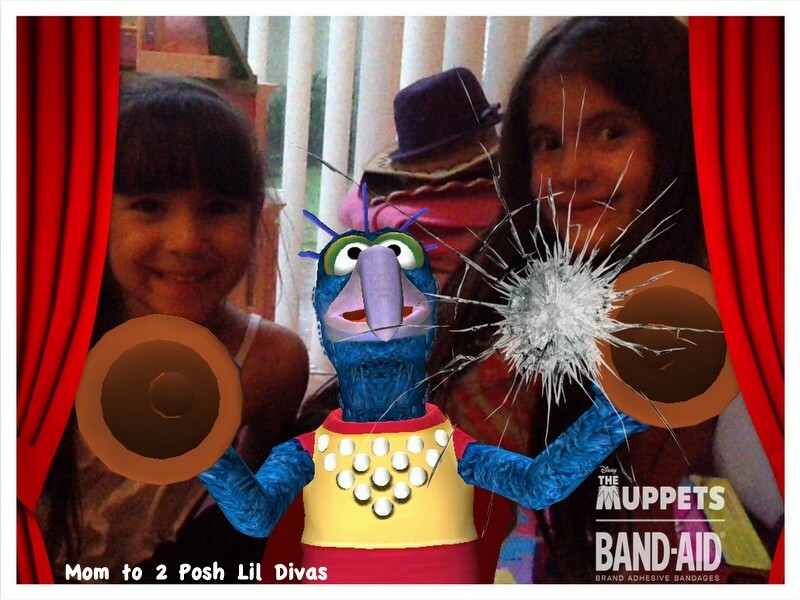 We have just discovered the Muppets at my house. I will have to get this for JDaniel.